We've recently released a new feature for our users on our Enterprise plan. 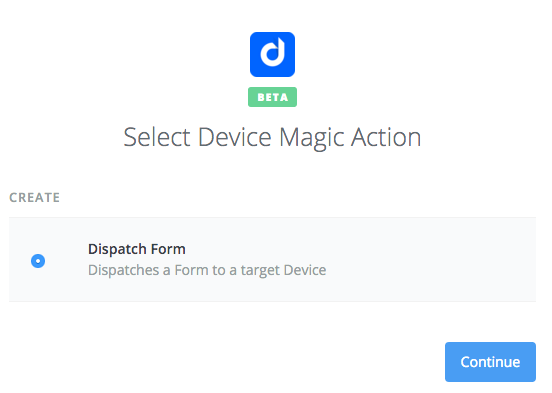 This feature allows users to dispatch Device Magic forms from multiple apps using Zapier. Magic to their apps, as explained here. Before we get started, if you'd like to learn more about our Dispatch feature, please have a look at this article. 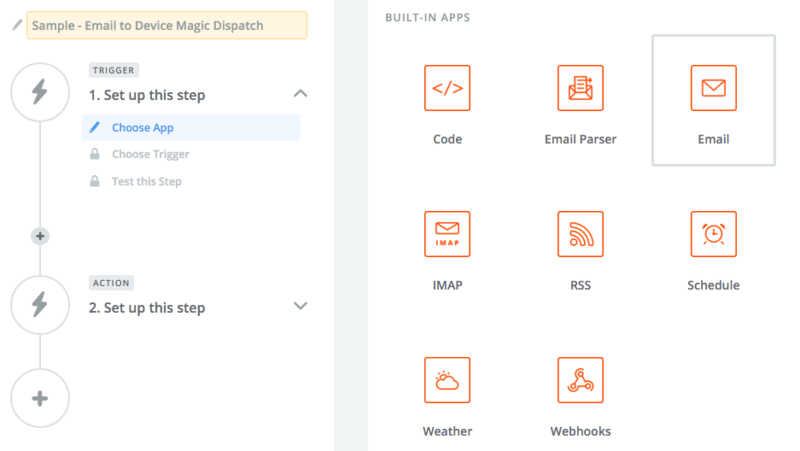 In this article, we'll give a simple walkthrough of setting up a zap between email and Device Magic. 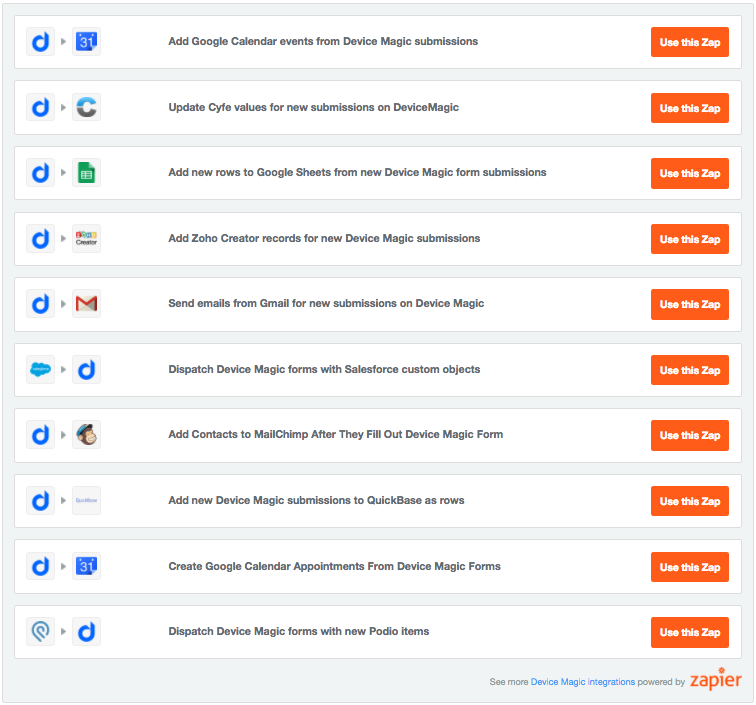 Please note: You can use any of Zapier's available triggers to dispatch forms. First, login to your account on Zapier.com. Then, click the 'MAKE A ZAP!' link. Next, scroll to the 'BUILT-IN APPS' section and choose 'Email' as your trigger app. (There are many triggers you can use, but again, we're going to use 'Email" for this example). 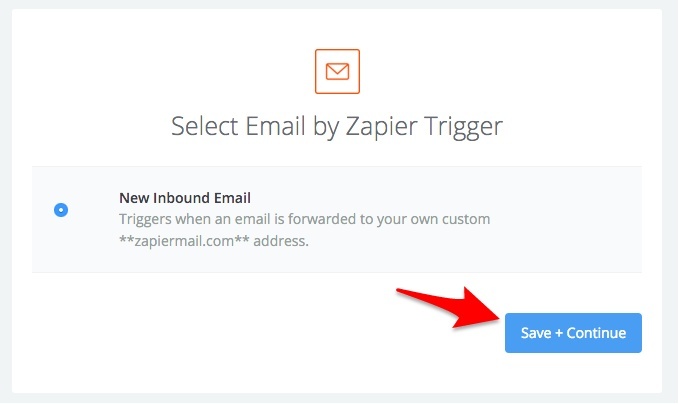 Then, make sure 'New Inbound Email' is selected and click 'Save + Continue'. You will then have the option to customize the private email address associated with your email mailbox. I entered 'devicemagic' and then clicked the 'Copy to clipboard' link to the right. This way you can paste the email address easily in the next step. Click 'Continue' and create a new email in the account which you'd like to use. In the address bar, paste your private email address and send your test email. Don't worry, you can leave this test email blank. 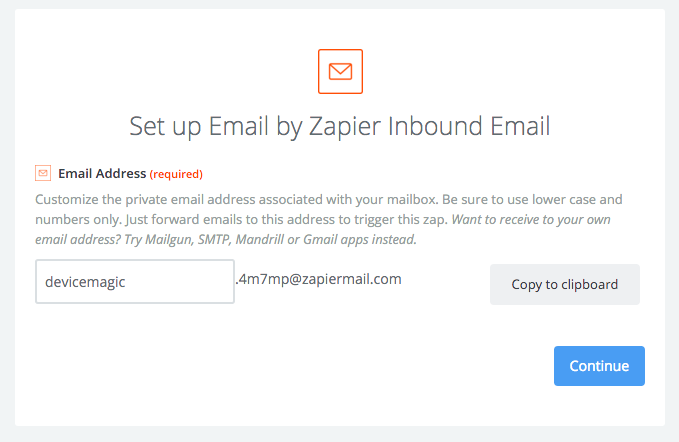 After the email has been sent, navigate back to your Zapier page. You should then see confirmation from Zapier that the email has been received. When ready, click the 'Continue' button. 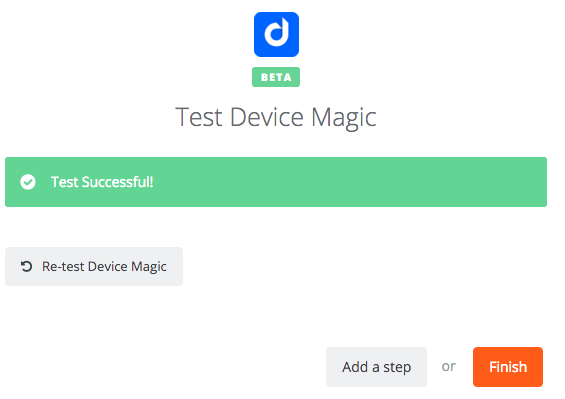 Next, choose 'Device Magic' as the action app. Make sure 'Dispatch Form' is selected and click the 'Continue' link. 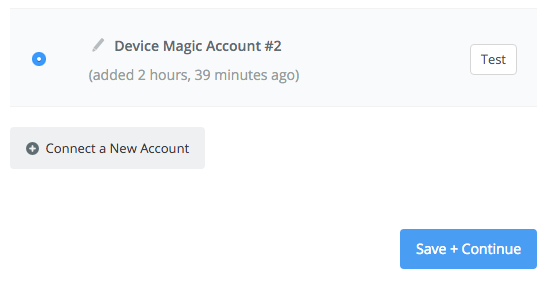 If you haven't connected your Device Magic account already, click the '+ Connect a New Account' link. A new window will appear for you to authorize Zapier to use your account. Click the 'Authorize' link. 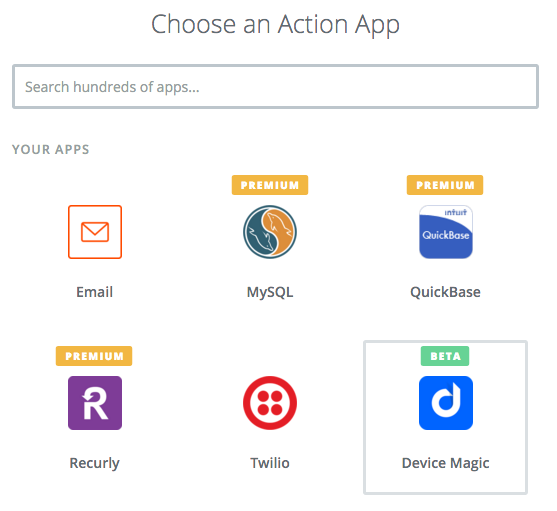 Then, this window will close and your account will appear as an option on your Zapier page. Please ensure your account is selected and click 'Continue'. 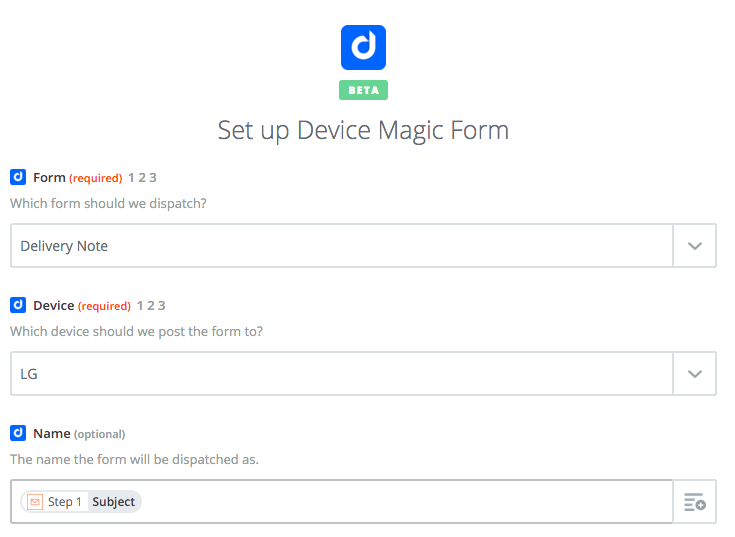 Next, customization options for your dispatched form will appear. The 'Form' and 'Device' fields are required but all other fields are optional. You can see below that I chose the "Subject" of the email will be the title of the dispatched form. When you're done customizing your dispatched form, click the 'Continue' button. 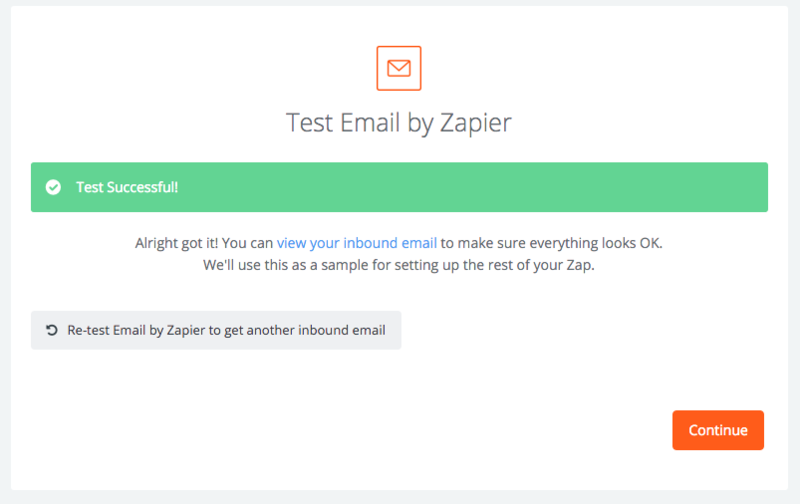 Zapier will then request to test your new zap, click 'Create & Continue'. A new sample dispatch will then appear on your device. After a successful test, click 'Finish', turn your zap 'On', and your setup has been completed! 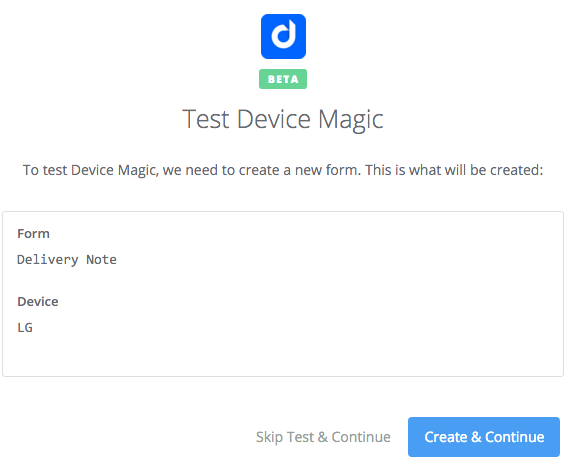 This concludes our walkthrough of creating an email zap to Device Magic. 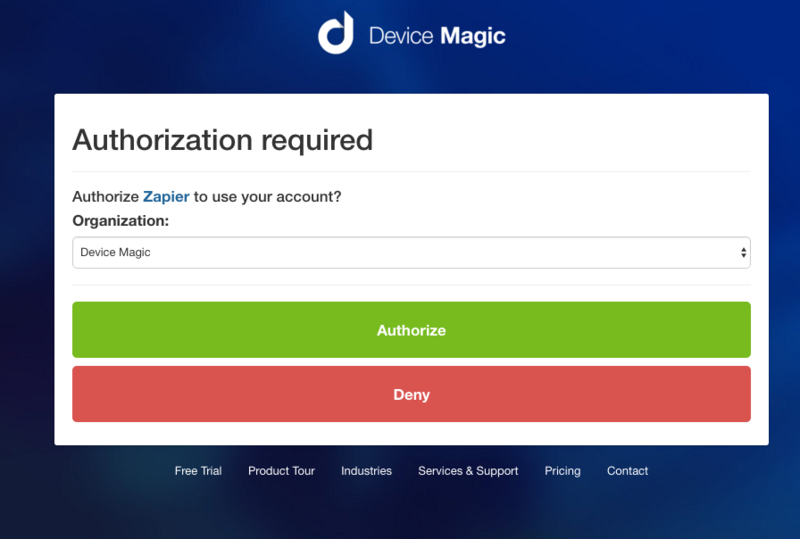 If you have any questions or comments feel free to contact us at support@devicemagic.com or leave us a comment below.